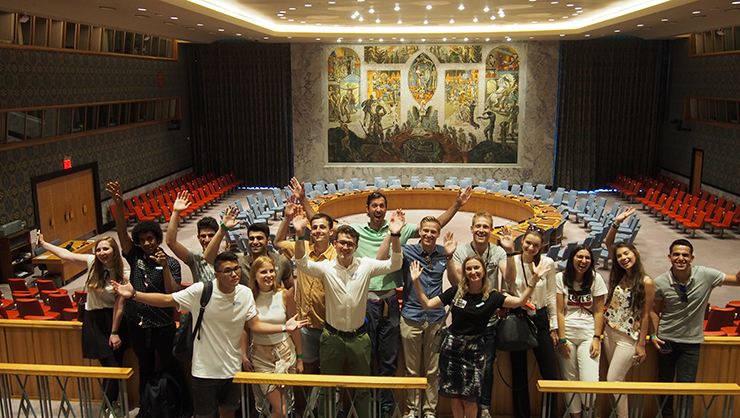 Last week, InterExchange took a lucky group of Exchange Visitors on a tour of the United Nations Headquarters in New York City. Group members came from diverse locations such as Germany, Kazakstan, Latvia, Spain, and Turkey. Exchange Visitors in the main conference room of the UN Headquarters. The UN building is a towering silver structure that sparkles on a sunny day. It’s surrounded by a colorful line of flags from all the nations across the globe. InterExchange supervisors gathered with the group of international participants outside the building and went in together to start the tour. The tour consisted of in-depth views into the lifestyle of UN workers, and their ceaseless mission of worldwide peacekeeping. The group was taken through a time machine: from halls filled with artifacts from wars in the past, to data on current military spending (the data resets to zero dollars at midnight, then by the end of the day climbs to over millions of dollars), to a glimpse of the future and what humans must do to protect one another and the earth. 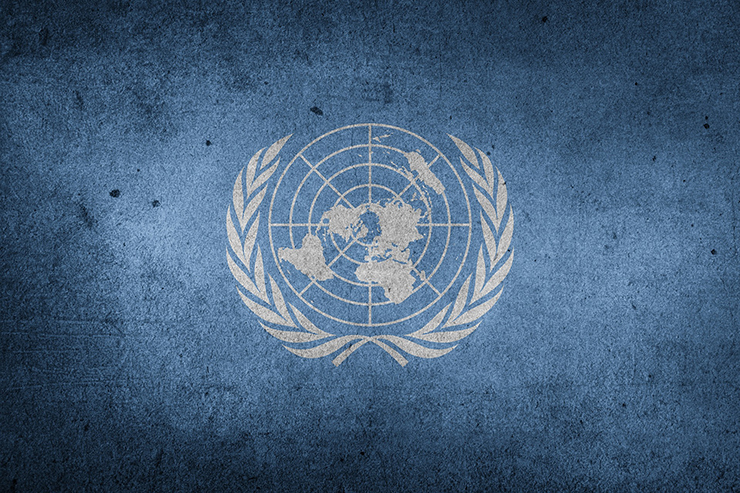 An interesting fact the group learned: the UN logo is actually an image of the earth as seen from above, so that no countries look to be in the center. Perhaps the most exciting moment was when the tour guide led the group through two live conference rooms, and the group got to see representatives from all over the world in action talking over speakers and making important decisions. “The experience was great because of the group…this trip was so necessary for me,” said Burhan, one of the group members from Turkey. Summer is the Summer 2018 social media intern. She's a published author and avid traveler.